Maple syrup recipes that use nature's best sweetener, maple syrup. 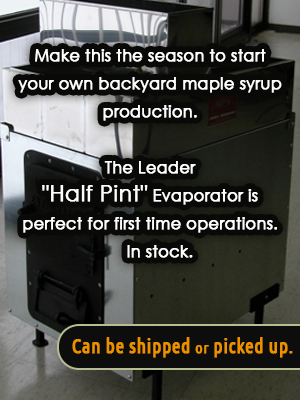 Call us to get the most important ingredient...maple syrup. Mix all ingredients together and pour into pie crust. Chill overnight in refrigerator. Sprinkle top with maple sugar and serve. Measure syrup in a 1 cup liquid measuring cup, add shortening until syrup comes to 1 cup line. cream shortening and syrup with sugar. Add egg and continue beating until fluffy. Measure dry ingredients into sifter. Mix together twice to blend. Then sift all at once into creamed mixture. Stir until thoroughly blended. Drop by teaspoons onto baking sheet. Bake at 375 degrees for 10 minutes or until golden brown. makes 5 dozen. Add syrup to carbonated water. Sweeten to taste. Preheat oven to 325 degrees. In a large bowl combine oats almonds cashews sesame seeds sunflower seeds and salt. In a small sauce pan combine butter maple syrup vanilla and maple sugar. Cook over medium heat for 5 minutes. Pour over the dry mixture and stir till well blended. Spread the mixture out on a baking sheet in an even layer. Bake, stirring a few times for about 20 minutes or until golden brown. Remove from oven and cool. Stir in raisins. Store in an airtight container at room temperature for up to two weeks. Makes 6 cups.